The benefits of sticking to a healthy diet to prevent long term weight gain are greater in people at high genetic risk for obesity than in those with low genetic risk, finds a study in The BMJ today. 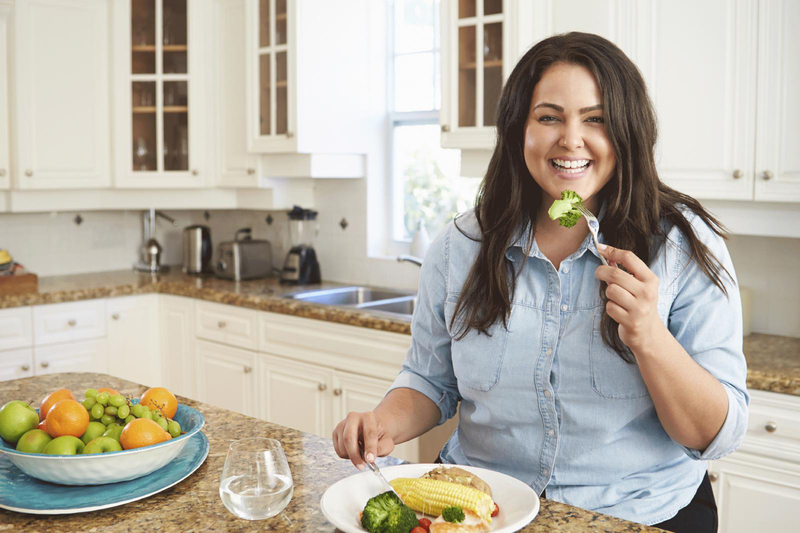 The researchers say their findings indicate that improving diet quality over time might lead to greater weight loss for people who are genetically susceptible to obesity. The study also indicates that the genetic risk of weight gain is attenuated by improving diet quality. Obesity is a complex disorder involving a mix of genes and environmental influences. Previous research has shown that diets high in sugar sweetened drinks and fried foods could amplify the genetic associations with higher body weight. But could following a diet rich in fruit and vegetables and low in processed foods diminish the genetic association with weight gain? And could the benefits of a healthy diet pattern on weight loss be the same for people with a distinct genetic susceptibility to obesity? To investigate further, Dr Lu Qi, Professor of Epidemiology, and other researchers from Tulane University and Harvard University, analysed data from two large studies of US health professionals — 8,828 women in the Nurses’ Health Study and 5,218 men from the Health Professionals Follow-up Study from 1986 to 2006. Genetic risk score was calculated using 77 gene variants associated with body mass index. Changes in body mass index and weight were calculated every four years. Changes in dietary patterns were also assessed every four years using three diet quality scores — the Alternate Healthy Eating Index 2010 (AHEI-2010), Dietary Approach to Stop Hypertension (DASH), and Alternate Mediterranean Diet (AMED). These diets are all rich in fruit and vegetables, nuts and whole grains and low in salt, sugary drinks, alcohol and red and processed meats. After 20 years of follow-up, the researchers found that improving adherence to the AHEI-2010 and DASH was associated with decreases in body mass index and body weight — and that the effect was more prominent in people at high genetic risk for obesity than those with low genetic risk. In addition, they note that “the genetic risk of weight gain is attenuated by improving adherence to these healthy dietary patterns.” No clear interaction pattern was found for AMED. The authors point out that this is an observational study, so no firm conclusions can be drawn about cause and effect. They also acknowledge several limitations including the influence of unmeasured factors, such as physical activity, and that the results may not apply generally because the study was restricted to health professionals of European descent. This study underlines the critical importance of achieving healthy diets for everyone, say researchers in a linked editorial, though they acknowledge that this is still a challenge for many.